Tammy365: Will the Real Royal Baby Please Stand Up? 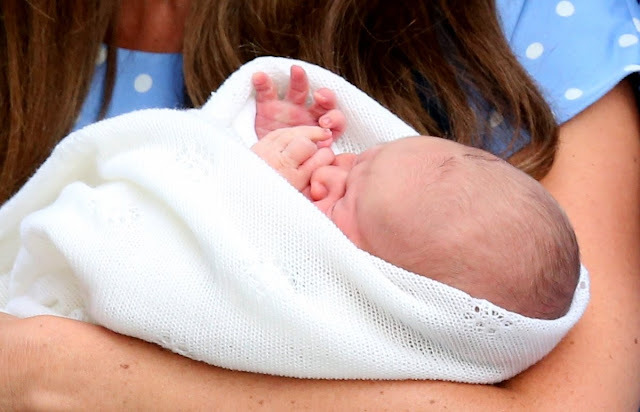 Will the Real Royal Baby Please Stand Up? Not to take anything away from Prince George, he does have royalty running through his veins but it makes us commoner feel a wee inadequate, wouldn't you say? Keeping it all in perspective, we can be royal too! We can't choose to become an heir to the throne of England but everyone can become a heir to the throne of Jesus! If you've accepted Jesus, you've already had your coronation day. I hope you're wearing your crown and upholding it's station well. 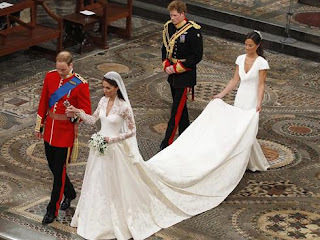 This happy occasion causes me to revive a blog post I wrote in April 2011 shortly after the "Royal Wedding". I felt royal this year when I was privileged to take communion in Westminster Abbey. I hope you enjoy the short devotional after this beautiful picture of Will and Kate's Wedding. I know I enjoy the pomp and circumstance as much as anyone! The Royal Wedding seems to have taken over the media these days! How much will the wedding cost? What will the dress look like? Can the dress be kept from human eye until the big day? Everyone wants to catch a glimpse of Wills and Kate! It is exciting and this year, 2011, is the year that a lot of people I know are getting married! I love marriage, I have been married for 25 years! I love weddings too! Matthew Chapter 25 is a parable or story that compares the kingdom of heaven to ten virgins preparing for a wedding. Five got prepared and five were unprepared when the bridegroom came for the wedding. This story illustrates for us how it will be when Jesus returns, some will be ready and some will not be prepared. According to the Bible, I want to encourage you to get prepared for your ultimate wedding, you are the bride and Jesus Christ is the bridegroom. He's coming to your wedding! You want to make sure you are adorned and ready with your wedding garments on. How do you get ready? Accept Christ's love and forgiveness and become clothed in His righteousness. We may not be invited to Wills and Kate's royal wedding but we can be sure we are on the invitation list for Christ's Royal Wedding! 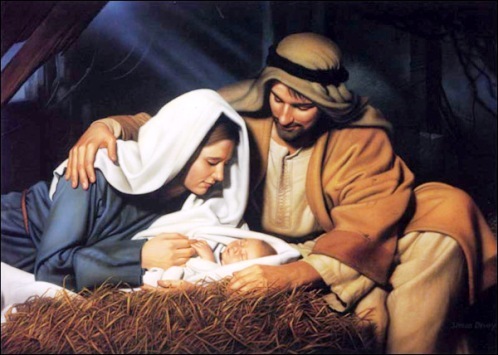 Very nice connection to the birth of Christ! I think this is very true, with all this talk about royal weddings, we must take into account that we are all royalty when we give our lives to Christ. Thank you for sharing this post! Thanks Kalley! Yes, I think we forgot we are, as the Bible says, kings and priests in a "royal" priesthood! Hallelujah! Thanks for stopping by. I followed you on G+ and liked your facebook page. I hope you're inclined to follow me back and like my page! That's the true royal baby in my world. I don't follow the England family.